Farm machinery dealers in the sales, service and parts network for Landini and McCormick tractors in Wales and the west of England are being supported by a newly-appointed area sales manager. 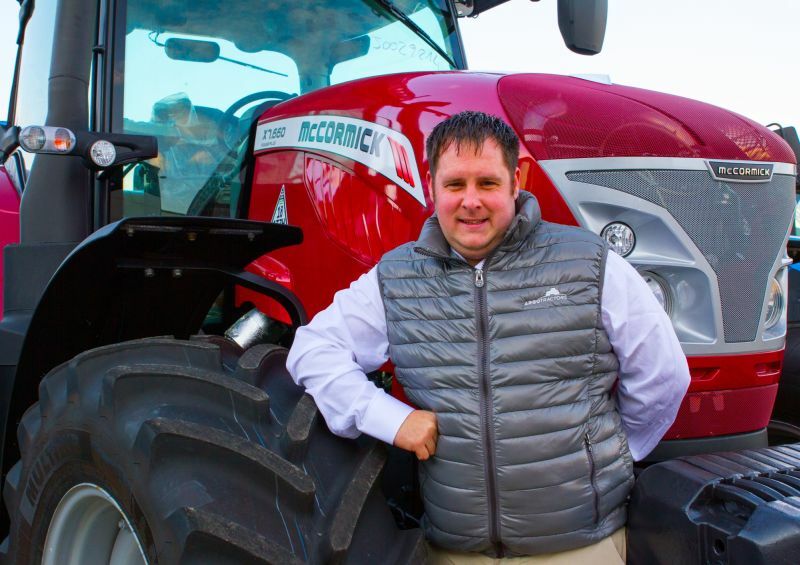 Chris Hughes has joined the Argo Tractors operation with several years of technical and sales experience gained at leading dealerships and says he relishes the fresh challenges that come with representing a manufacturer. “I’ve been a workshop technician and service manager, and worked as a dealer salesman, so I’ve a good understanding of the trade from a dealer’s point of view,” he says. Having been brought up on a mixed livestock farm, Chris also has practical experience of day-to-day farming and a clear understanding of tractors and machinery, and the key features and benefits that best suit different farms and other rural enterprises. That will be invaluable in his role helping dealers identify the best products in the Argo Tractors range for individual customers, in terms of size, power, features and specification, and liaising with the Argo Finance team in structuring the best financing options for buyers. His home in Knighton, Powys on the Herefordshire and Shropshire border places Chris at the heart of a territory that extends throughout Wales, across to the M6 motorway, and as far north as Carlisle in Cumbria. Adrian Winnett, managing director for Argo Tractors in the UK and Ireland said: “We’re delighted to welcome Chris as our Wales and west of England area sales manager. Chris Hughes adds: “Working for a manufacturer has always appealed to me and as I’ve learned more about Argo Tractors and its Landini and McCormick products I’ve been very impressed. In his spare time, Chris enjoys restoring old tractors and is a member of the local bowling team; and this summer he has his wedding to enjoy, when he plans to arrive for the event on a shiny new tractor.